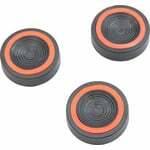 Sometimes you just need them: more focal length. 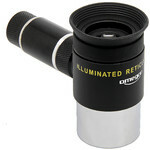 Because you want a higher magnification with your eyepiece or more focal length for astrophotography. 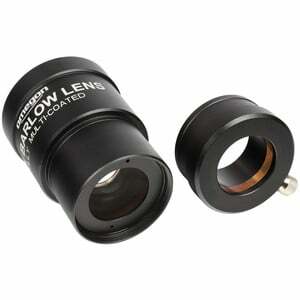 Connect your 2 "accessory to the Oberon Barlow lens and enjoy a brilliantly clear and magnified view of the universe. It's easy and a snap: Put your 2 "Oberon Barlow between the telescope and the eyepiece and the magnification is 2.5 times higher and the focal length of your telescope 2.5 times longer, saving you one or two eyepieces or even a long-range telescope. This makes the image sharper and the objects look clearer. 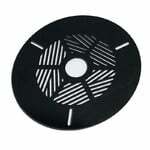 Color errors caused by a Barlow lens are a thing of the past. As a result, the moon and the bright planets are much more natural and therefore more beautiful. 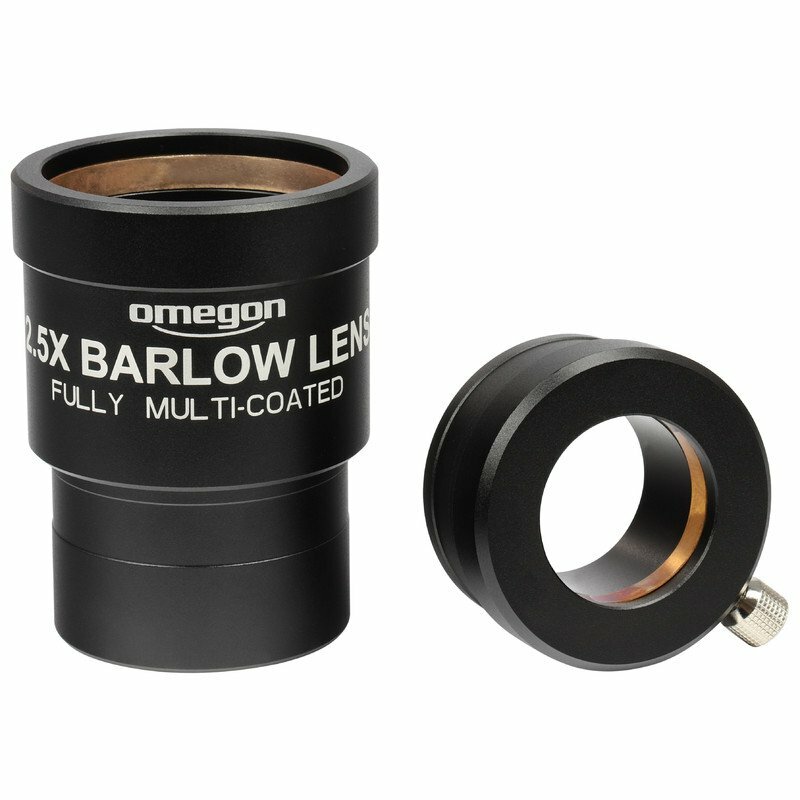 The clever design of four lenses with multi-coated surfaces eliminates most of the aberrations that still exist with Barlow lenses with fewer elements. 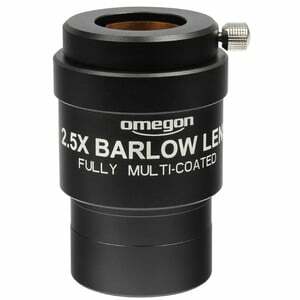 A Barlow lens can be a great addition to your existing eyepieces. Four lenses for more beautiful pictures. 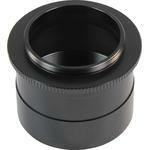 The spring ring clamp ensures a firm hold of your accessories in the Barlow lens. 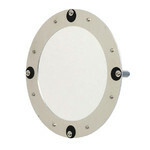 No screw that pushes against your valuable eyepieces, but a gentle but firm clamping. 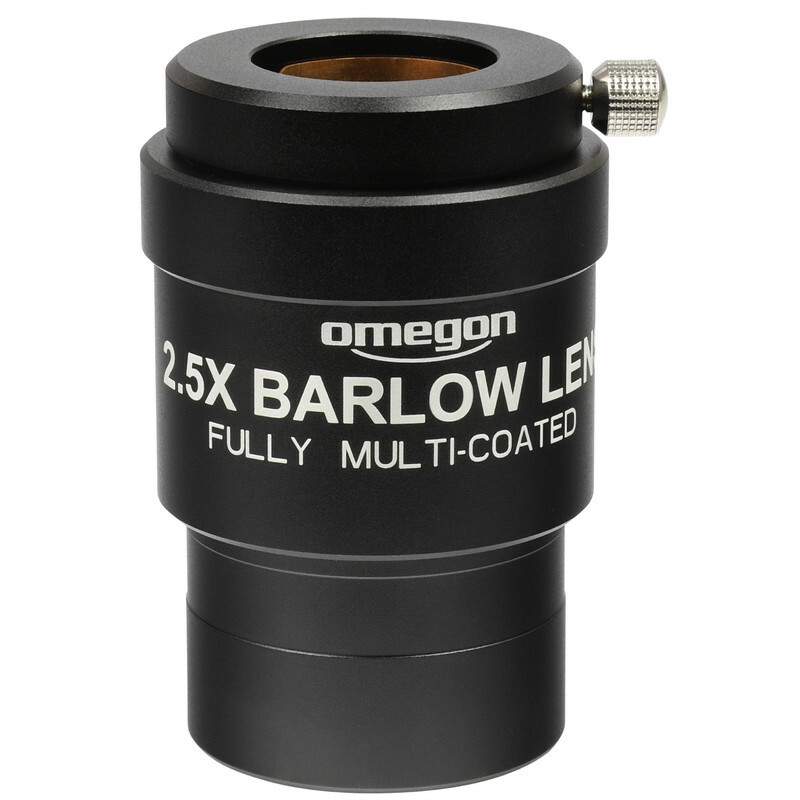 Oberon Barlow lens 2 "
Connection ( to eyepiece) 1,25" & 2"